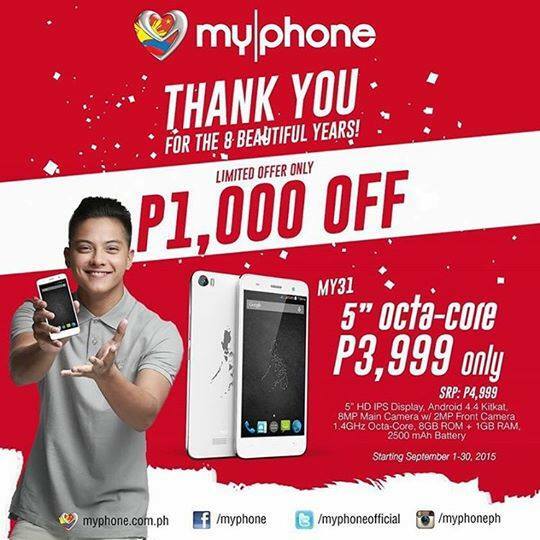 The freshly launched MyPhone My31 smartphone just got a Php1,000 discount for the whole month of September as part of MyPhone's 8th anniversary celebration. Which means, from the original price of Php4,999 anyone who will buy it will only pay Php3,999 so long they purchase the phone between today and September 30, 2015. See specs below.